The nose offers apricot and hazelnut flavours with a hint of fresh butter, whilst the taste attacks with a beautiful minerality. Domaine Arnaud Tessier is a rising star of Meursault’s producers. The Domaine is making refined and complex Chardonnays from the village’s best located vineyards. The Meursault 1er Cru “Les Charmes-Dessus” is located on the upper part of the climat*. Here, the wines are more complex, deep and mineral. The nose offers apricot and hazelnut flavours with a hint of fresh butter, whilst the taste attacks with a beautiful minerality. It can be paired with seafood, lobster, white meat and cheeses. You can cellar it for eight to ten years or drink it in its youth. Decant it for 45 minutes before serving. 100% Chardonnay. *Climat refers to a named plot of vineyard. 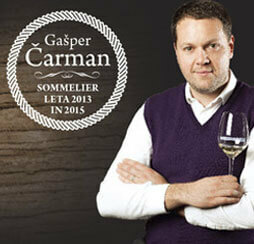 The Domaine is under the guidance of Arnaud Tessier. Arnaud was born in Meursault and grew up exploring the village. He began working in the vineyard alongside his father at the tender age of 14. The epitome of a hard worker, Arnaud is also considered amongst fellow villagers to have a rare gift for wine making. 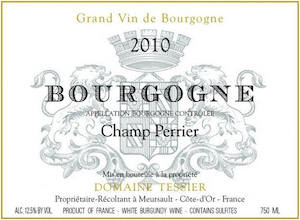 Arnaud began the story of Tessier wines by starting to bottle a tiny part of the Domaine’s production in 2007. Before that, the entire production was sold to the Burgundy “Négoce” – wine merchants who buy grapes to make wine under their own label. With this tiny first vintage, Tessier was born.